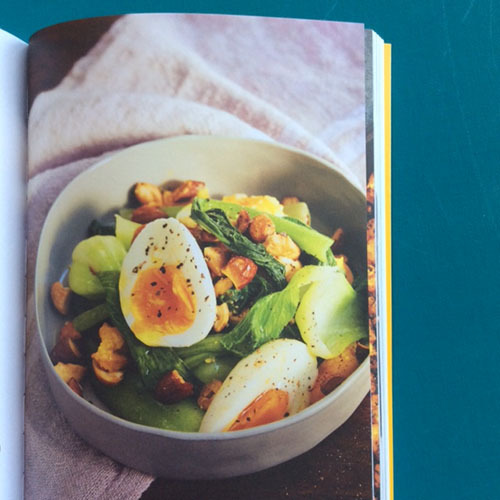 Live a Beautiful Life by Jesinta Campbell is a book aimed to encourage you to become a healthier and fitter person. The book could be divided into two parts – one part is a cookbook with mouth-watering super healthy recipes and the second part is devoted advice on health, wellness, beauty, exercise and personal visions. 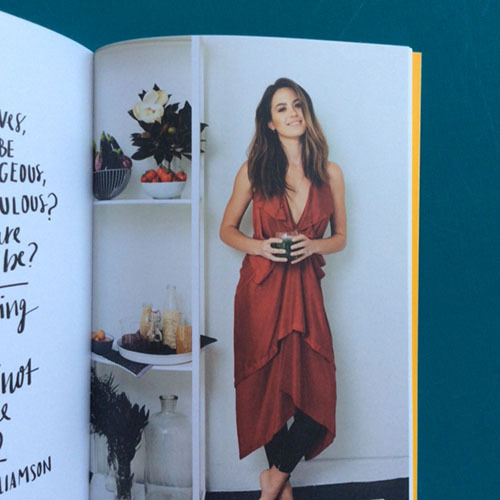 This is the first book by Jesinta Campbell, who is an Australian model and TV host. She won Miss Universe Australia in 2010 and is currently a David Jones ambassador. I loved reading about her perspective on peer pressure and staying true to yourself. "And despite how glamorous my life now appears to be from the outside, just like at high school, I still refuse to change who I am and what I believe in to fit with a certain group or do things that are considered cool. That is my greatest achievement – not once have I altered my core values or beliefs to fit into my industry or social setting. Am I am proud of that." "The things that set me apart as a teenager, the things that often left me feeling alone and rejected, are now things that serve me best in life." 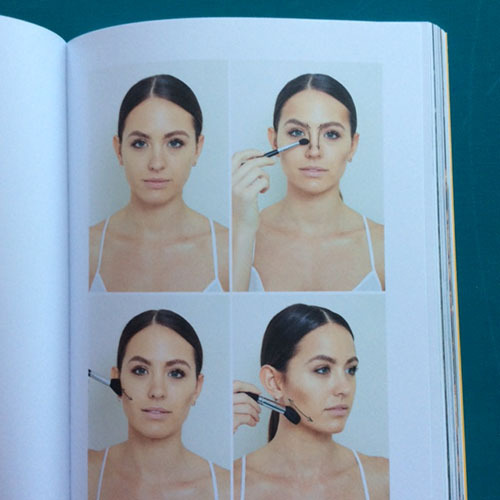 The book has a small beauty section where she explains her routine and describes how to use Gua Sha, an ancient way of achieving healthy, glowing skin. I'm keen to try it out when after I have gotten my hands on some vodka, bicarb of soda and coconut oil. There is a four-week fitness program designed by her personal trainer, Dan Adair, which she uses to get ready for a major swimwear shoot. The program is designed for people with a medium fitness level and starts off with one hour of power walking or 3 to 5 kilometre run. There are over fifty gluten free and refined sugar-free recipes which are super healthy and delicious. There are no obscure ingredients here except the kelp noodles. Be tempted by healing turmeric juice, sweet potato fritters, quinoa and tahini sushi, chicken and vegetable curry, alkalising green soup, and zucchini pasta with pesto. "To help people make the world brighter by encouraging others to be the best person they can be, by going after my dreams, using my talents wisely and living to my highest potential." 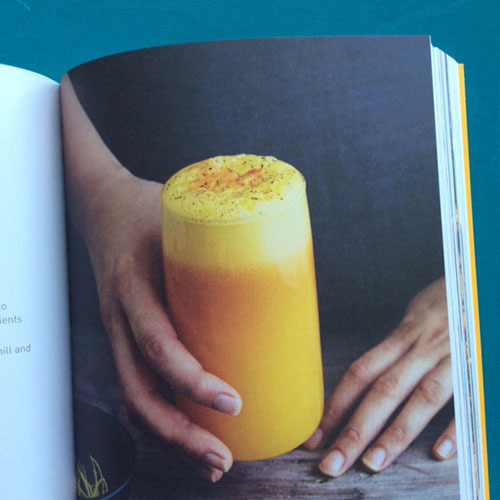 The book is beautifully designed with a modern feel and colourful photography. 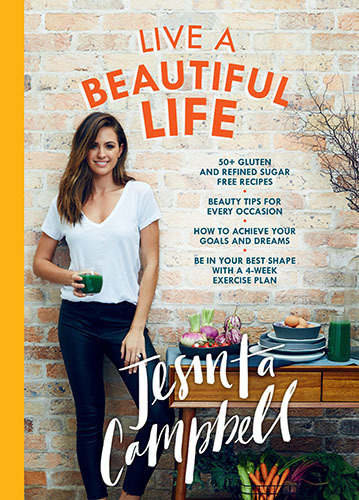 Jesinta Campbell has a positive outlook on life and hopefully her book will do as the title suggests, Live a Beautiful Life. Live a Beautiful Life is available in paperback or ebook from your favourite bookseller. Jesinta Campbell is a former Miss Universe Contestant and current David Jones fashion ambassador, Channel 9 TV presenter (Getaway and Today) and working model based in Sydney. Live a Beautiful Life is her first book.